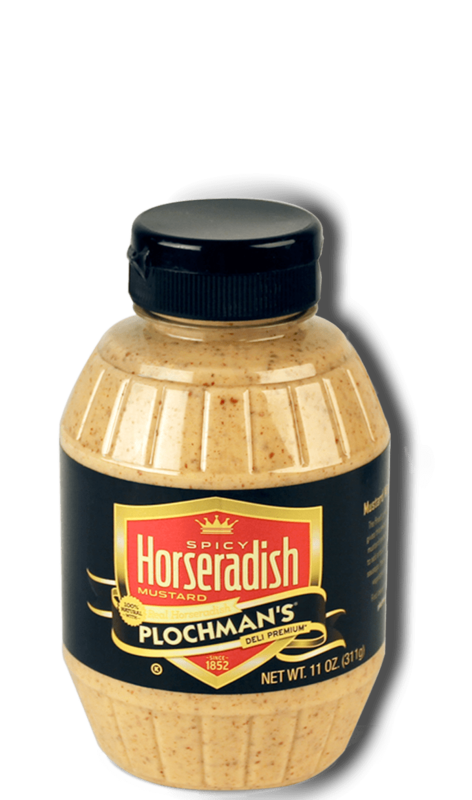 This is the perfect roast beef sandwich, crowned with Plochman's Spicy Horseradish Mustard! Cut rolls in half. Spread top and bottom halves with mustard. Top bottom rolls with lettuce, cheese, tomato, roast beef and sliced onion. Place top rolls on top.